Quarry tile is an unglazed terra cotta tile made of natural clay, giving it a somewhat rustic appearance. It is available in most earth tones but its most common color is a red that's similar to bricks' color range. This tile has been a favorite in commercial applications such as kitchens, bathrooms and rooms subject to heavy traffic or interior/exterior use. The main features of this tile are its low cost and durability. Like any flooring material, it can get dirty, especially in high-traffic areas. Luckily, cleaning it is not difficult. Typical terra cotta quarry tile. Clean your quarry tile thoroughly with a canister vacuum cleaner. Do not use a vacuum with a beater bar as this may drag grit across the tiles, causing scratches to the sealer or wax. 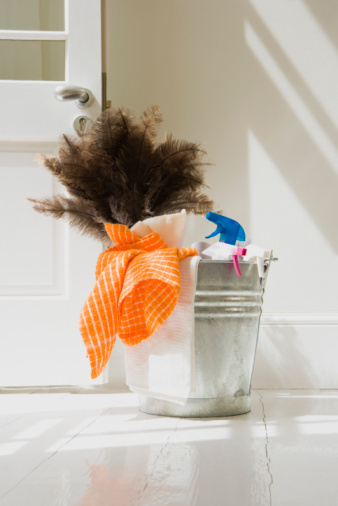 Mop your floor with a cleanser. 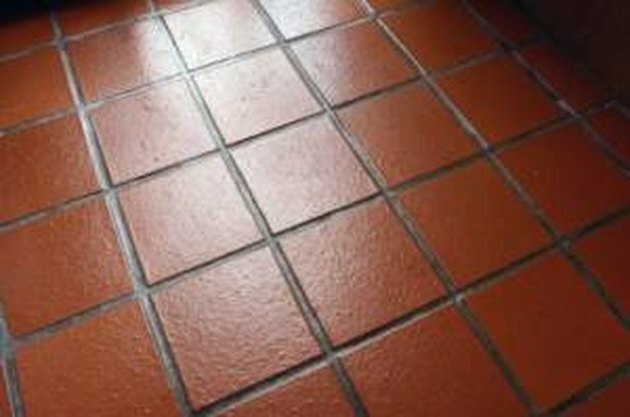 Consider using an enzyme-based, antibacterial cleanser such as EnziBrite or AquaMix, particularly if your quarry tile is in the kitchen as these types of cleansers cut grease and eliminate odors.